How did this guy with a gawky haircut and geeky trousers sell over 120 million books, start a comic-book revolution, attracting both child and adult readers? And now an exciting movie that recreates many fabulous scenes from the books using motion capture. Tintin has been called ‘the blank domino’ (Michel Serres); his face of four lines and two dots allowing the reader to identify with the character. Now he is 82 years old but he doesn’t look a day over 20 — what’s his secret? Great storytelling, clarity of illustration, and warm, humourous characters. Tintin’s creator, Georges Rémi, was an artist (of the clear line style) and a painstaking researcher. 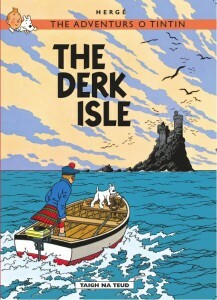 Every ship, car, building, uniform and statue in the Tintin books was drawn from observation or photos.The plots were about news events of the time with political messages, science and culture. Then there is ‘Hergé’s remarkable ability to predict world events.’ (Michael Farr in Tintin, The Complete Companion). 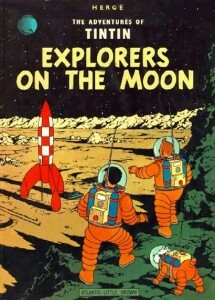 Tintin reached the moon long before Neil Armstrong, in Explorers on the Moon (1953). There’s prophetic design of spacesuits and a rocket, and they found water there, confirmed in 2009 — an asteroid between Mars and Jupiter was later named Hergé. Characters were also based on real people: eg. Hergé’s (twin) father and uncle for Thomson and Thompson (you can tell them apart by their moustache shapes). Tintin and Snowy first appeared as a comic strip in 1929 in a Belgian Catholic newspaper. The early stories had basic drawings and a few stereotypes. The first, Tintin in the Land of the Soviets (1929), is anti-communist propaganda presented as slapstick action. Tintin in the Congo (1930) is a reflection of the values in those days: Tintin teaches the rubbery-lipped natives of the Belgian colony and happily kills the wildlife (Tintin in the Congo is censored today). Hergé’s friendship with a Chinese arts student led to more sophisticated stories. Chang suggested he use real events as inspiration and The Blue Lotus (1938) was the result. Based on the horrific Japanese invasion of China, the book caused diplomatic upheavals in Belgium. Unlike the Congo story, this book broke the strong stereotypes of China. The next story, King Ottokar’s Sceptre (1938), also had a bold political message at a time of rising Nazi tension. Tintin saved fictional Syldavia from a dictator — just as Hitler was moving into Austria and Poland. After the war Hergé was accused of being a Nazi sympathiser because he chose to work in German-controlled Belgium. But Nazi censors banned The Black Island and Tintin in America because of their Allied settings. So Hergé published fabulous non-political adventures during the war. He is most loved for his colourful cursing: billions of blistering barnacles, thundering typhoons, and bashi-bazouks! (200 such insults are recorded). His first name, Archibald, is kept secret until the final Tintin book. The Shooting Star (1941) reflected the fearful wartime mood and took Tintin on a sci-fi adventure. Red Rackham’s Treasure (1943) was pure escapism and showed Hergé’s passion for accurate drawing again. It extended the Tintin family with the hilariously irritating Professor Calculus. 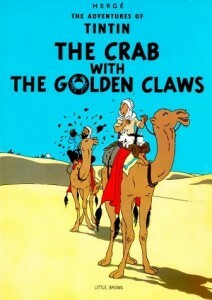 The Seven Crystal Balls (1943) and Prisoners of the Sun (1946) are considered the best of Hergé’s two-part adventures. There’s a touch of the supernatural and a spectacular climax in a lost civilization. The Calculus Affair (1954) is realistic and rich in comic characters. Written during the Cold war, it’s about a country making an ultrasonic weapon — but Calculus wisely destroys the plans. 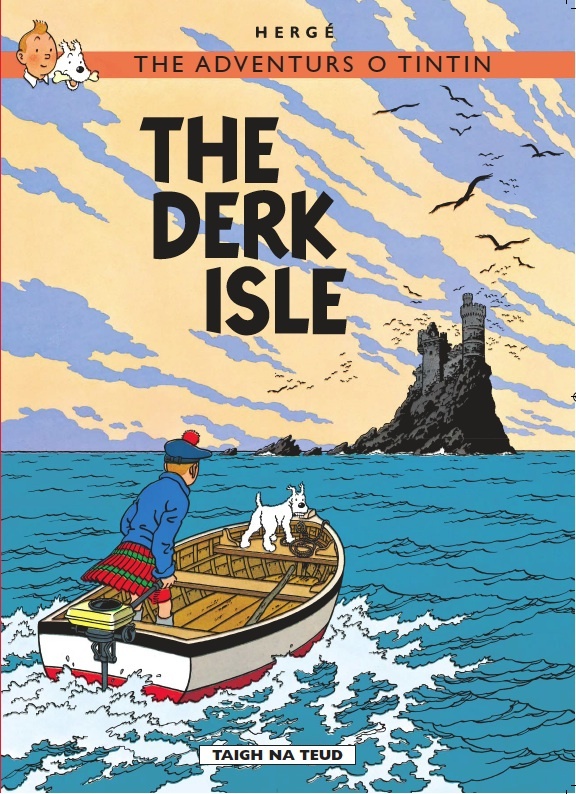 My favourite is Tintin in Tibet (1958), written at a time of personal crisis for Hergé. It’s all about ‘the incorruptible bonds of friendship’ (Farr) as Tintin searches for his dear friend Chang in Tibet (Hergé had lost track of the real Chang). Hergé wanted to write a story where nothing much happened. The result was The Castafiore Emerald (1961) which is unlike any other Tintin book. The heroes run around a mansion chasing false leads in a frantic farce. The last complete book was Tintin and the Picaros (1975) which updates Tintin’s image by giving him jeans, a peace sign and yoga. It has a strong satirical message: revolution does not always help the masses. Tintin and Alph-Art was unfinished when Hergé died in 1983, but the sketches have been published. The final scene has Tintin about to be made into a living statue. Fortunately Snowy has escaped; I’m sure he would’ve saved Tintin. Tintin website for articles and videos.